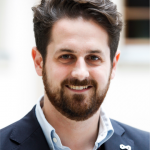 In September 2016, the sixth greenXchange seminar was hosted in the state of North Rhine-Westphalia – a region formerly known as Germany’s industrial center, which is now shifting towards green innovation. 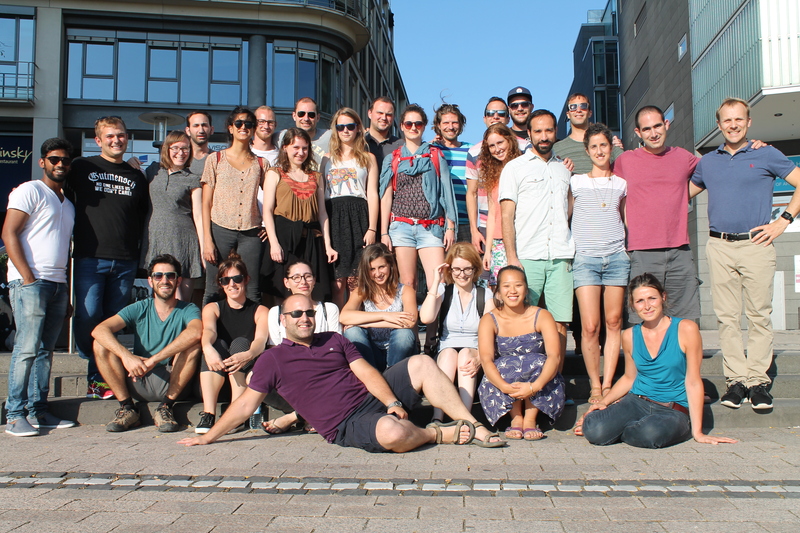 From September 11th until September 19th, this year’s participants toured Cologne, Jülich, Düsseldorf, Essen and Hamm visiting organizations as diverse as green start-ups, research facilities, city planning initiatives and a hard-coal power plant. Find the detailed programme brochure here and read more about the seminar. This year’s on-site seminar started at the “Natürlich für Israel” Congress, where the greenXchange participants had the chance to present their program to the public in a panel discussion and learn about various other activities in the field of German-Israeli cooperation. 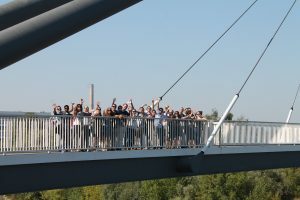 After welcoming the new participants and getting to know each other, the group set out on their first excursion to the Research Centre Jülich, a member of the Helmholtz Association. 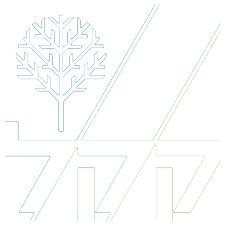 The participants were introduced to the broad spectrum of research conducted by the center and got a deeper insight into plant and agrology research. 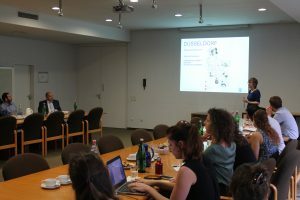 In the media center of Cologne, greenXchange participants met with the CEO and the nutritional scientist of Food Loop. The start-up aims to cut food waste in retail by integrating the grocery inventory systems into an application, which then offers discounts to customers for products that are about to expire. In Düsseldorf, the greenXchangers were invited to the city planning department, where they discussed structural obstacles that the city of Düsseldorf has to tackle when coping with the growing number of inhabitants. Measures such as revitalizing neighbourhoods, maintaining attractive housing standards, cooperating with other European cities and improved waste management were introduced to the participants. A tour through the city’s Media Harbor completed the visit and provided the participants with a practical example of the city’s development. Another green start-up, the Bug Foundation, gave greenXchangers a chance to question their eating habits. The Bug Foundation is working towards overcoming the stigma of eating insects in Europe, which could potentially help to alleviate sustainability issues in meat production. Up until now the Bug Foundation has already started to sell its insect-based products on the Belgian and Dutch markets, and explained how it was preparing to enter the German market in 2018. 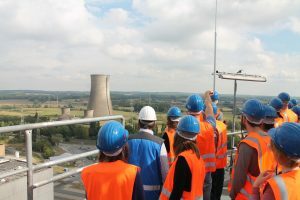 At a hard-coal power plant run by RWE, the biggest German energy provider, greenXchangers also had an opportunity to experience the more “traditional” side of the Ruhr area. During a presentation and a visit of this impressive industrial site, which has a conversion rate of up to 46 %, an employee explained the processes and obstacles the plant has had to face up until now. This also fueled a discussion about different energy scenarios for Europe, the role of renewable energy, its impact on fossil-fuel power plants, and the risks and opportunities of a possible coal phase-out. 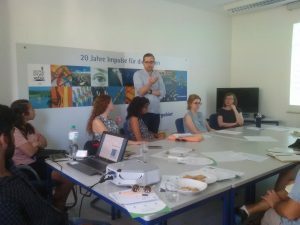 To get the most out of every visit, an Israeli-German team presented each project beforehand, giving the group some background knowledge and a chance to prepare questions. A daily recap session ensured that participants could share their views on the day’s schedule, give feedback and exchange opinions. 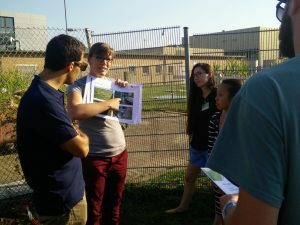 The seminar also included a greenXchange lab and mini-workshops to work on participant’s own ideas and the further development of the greenXchange program. 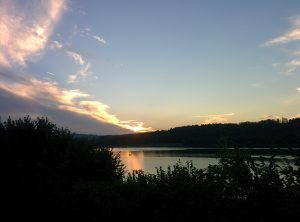 From time to time, the group also had a chance to appreciate the touristic attractions of the region, mostly during a guided tour of the Cologne Cathedral and Shabbat dinner barbecue on the shore of the picturesque Sorpesee.